Cards are the basic unit of a board. They might represent new software features, story leads, legal cases, things to buy at the store, freelance clients, potential employees, or customer support issues. Drag cards from list to list to indicate progression, status, or what-have-you. 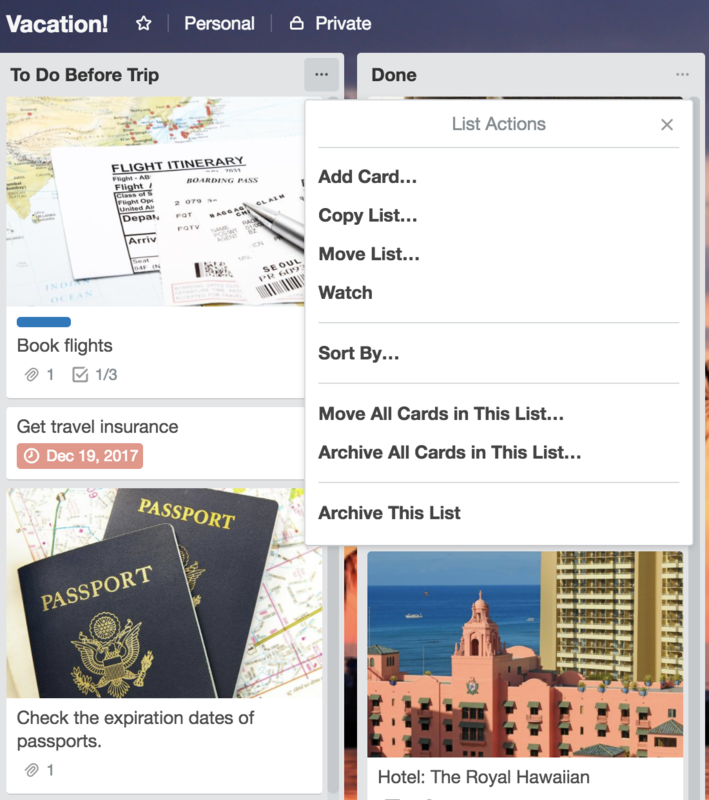 You can add people to cards, label them, vote, attach files, start conversations, create task checklists, and so on. You are able to add up to 5,000 cards per board, but performance may start to suffer if you add more than 1,000 cards, especially with large attachments. Add cards via the "Add a card..." input at the bottom of lists. You can also add cards via the context menu at the top of lists (Pro tip: This will add the new card at the top of the list). Add cards to your board to start getting organized. 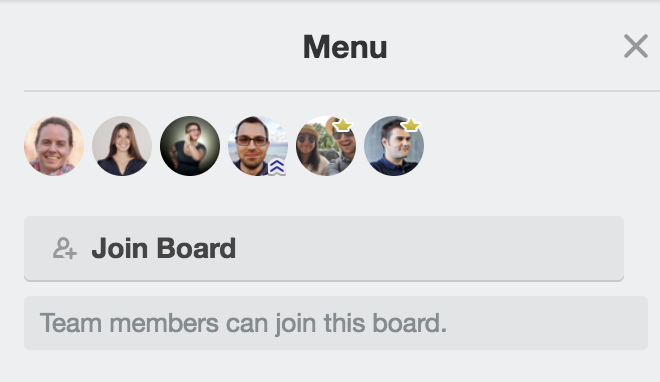 Click the "Join Board" button to become a member of the board.